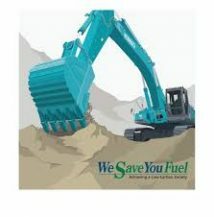 Kobelco tecnology is at the forefront of developments for fuel saving ,achieving a lower carbon footprint and saving operators on their fuel expenses. The saving of 35 Litres of fuel per day that the new spec machine delivers equates to 26400 litres over a 3 year period. At the current price of diesel around $1.15 that represents a saving to your business in excess of $30000. Can you afford to miss out on this kind of saving? Explore your fuel saving options, talk to our Team today.